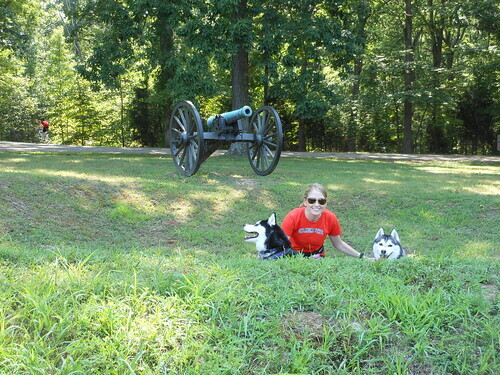 We visited the Civil War battlefield of Fredericksburg, Virginia, a few weeks ago. 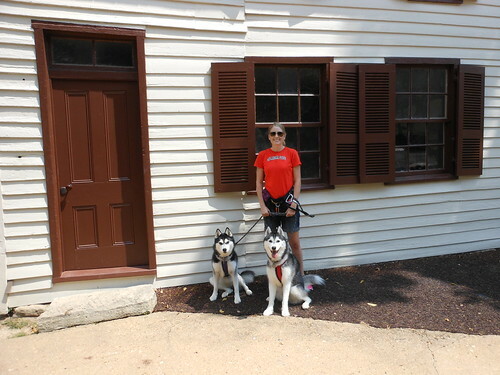 It's a bit hard to imagine the way it was during the Civil War because the city of Fredericksburg has grown up around where the battle was, but it was still interesting. We started out along a walking path near the Sunken Road, a road where the Confederate Army was entrenched. This house was there during the battle and, while the siding on the outside has been replaced, there is a wall on the inside that is still original and has many holes from the damage it received during the battle. 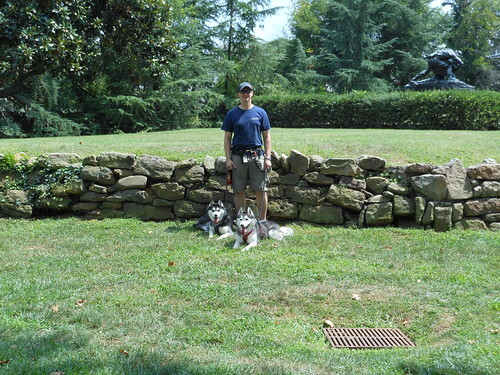 This wall is part of the original wall along the Sunken Road. As you can see, the road made for good protection for the Confederate Army because it was below the normal ground level. We also saw some Confederate earth works. Steve, Mom, and I tried to recreate being soldiers. As you can see, I'm the boss. Steve just wanted to take a nap. He would not make a good soldier. 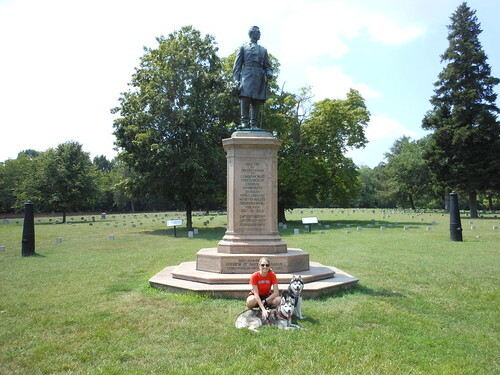 There is also a cemetary at the Battlefield, containing mostly Civil War union soldiers. There are about 15,000 soldiers buried in the cemetary and over 80% of them are unidentified. It is very hard to imagine the destruction the Civil War had on the lives of the people who lived through it. 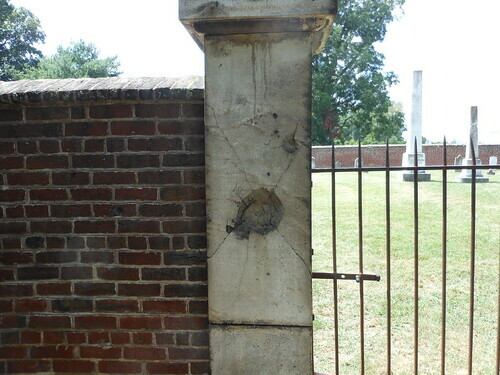 This is a wall of the cemetary that was existing before the Civil War. As you can see, it took on some cannon fire. That's it for our history lesson today! Sep 28 We're back home!